Another iconic song for an iconic couple! Awesome idea! The problem would be that there are so many, that it would be almost impossible to have them all. I love Clark's expression in this gif. He's practically putty in her hands. If she'd asked him to do the most outrageous thing ever, he'd be all for it because he's so head over heels and loves making her happy. I loved seeing this side of him on Smallville (before they started dating) as well although they weren't as overtly obvious compared to LNC. He still got her her favorite donuts or he let her chew him out over a story because he enjoyed doing things for her/making her happy. Unlike LNC, I don't think Smallville Clark was even aware his actions were the signs of a man in love which made it cuter somehow. but we all agree killing Lois to advance the story plot was a lazy writing. Last edited by cookies; 02-11-2019 at 06:15 AM. Last edited by cookies; 02-11-2019 at 06:32 AM. Absolutely. 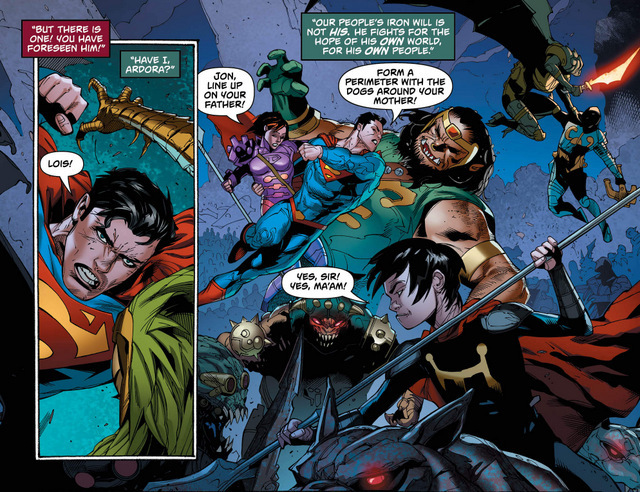 It's long overdue we move away from fridging Lois. 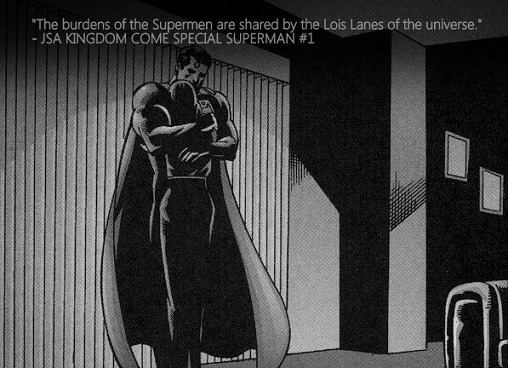 I love Superman and always want an emotionally gripping tale where he's concerned but that will never involve killing Lois. It's a great quote if only the story went a different way. Last edited by rpmaluki; 02-11-2019 at 06:49 AM. Lois: My novel. It’s about a woman who dies without ever finding her true love. Clark: That’s not going to happen to you.